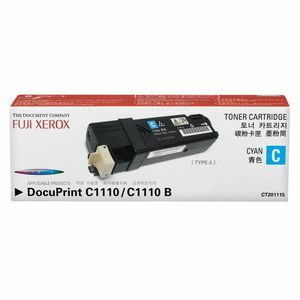 This Fuji Xerox CT201114 Toner Cartridge can be used to replace the toner in your laser printer. It has a page yield of 2,000 pages and is designed to deliver optimal results, high quality images and text. This cartridge can be known by the manufacturer's code, CT201115. It has an estimated page yield of 2,000 pages. It's compatible for use with the following Fuji Xerox machines: DocuPrint C1110 and C1110B.